retrogamer wrote: Finally, is there a way to make it work and get recognized as a GC controller on the Wii? I tried with a GC disc on the Wii in Gamecube mode of course and it detects it fine as a GC controller but in the Homebrew Channel there is no input at all. Thanks in advanced! The Homebrew Channel only read port 1, maybe that's your issue? 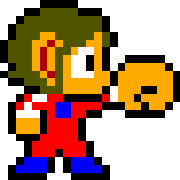 retrogamer wrote: Hi! regarding the Gameboy as GC controller, is there a way to load it up through .bin or .gba rom format from a gba flashcart? I have a Gameboy Player but if I can load it without using GBI first it'll be cool, especially for some emulators. I don't think that's possible. GBI works on the gamecube hardware, gba games over gameboy player work within the gameboy player with gba pcb inside. Gamecube Controller are working with the homebrew channel. Do you have a really old version of HBC? Sierron wrote: I don't think that's possible. GBI works on the gamecube hardware, gba games over gameboy player work within the gameboy player with gba pcb inside. You seem confused. I specifically crafted a GBA multiboot program that bitbangs the GameCube Controller protocol, it could be put on a flashcart. Thanks for the fast answer Extrems. I'm going to test if using an official Gc-to-gba cable link can solve the problem on the Wii (I was using a third party cable). I dont want to sound demanding, I'm sorry if it seems like I'm asking to much. Is there a posibility to have the gba as gc controller payload in a rom format? Thanks and keep up the amazing work you've done with GBI. Edit: Using an official cable it works fine on the Wii in the homebrew channel. Extrems wrote: You seem confused. I specifically crafted a GBA multiboot program that bitbangs the GameCube Controller protocol, it could be put on a flashcart. Oh, I went a whole other direction then. Didn't knew you made something like that. Could be quite handy. retrogamer wrote: Edit: Using an official cable it works fine on the Wii in the homebrew channel. Makes me wonder if that really made a difference. Aren't those cables just connectors with wires? Need to take a look into my original one. Yes, but there are issues holding it up. Changed 3DS Controller support for ctroller. Added Wii U Pro Controller support. The input remapping always resets when I try to save the configuration on Gamecube. So it seems that it does not work properly for Gamecube version. And it seems slower than previous version, especially early versions. bearteam wrote: The input remapping always resets when I try to save the configuration on Gamecube. So it seems that it does not work properly for Gamecube version. bearteam wrote: And it seems slower than previous version, especially early versions. The emulation has changed in a year's time, audio emulation is particularly heavier. Hey there, I've started using Enhanced mGBA recently, and saw how great it was, down to the small features that this have, that the official and other GBA emulators for the Wii don't have. But I'm having small issues setting it up for my 29" CRT TV. I wanted 240p, but the default is 480i, although I managed to set it to 240p by adding the argument "--scan-mode=non-interlace" to the meta.xml. The thing is, it has bilinear filtering set on by default, but there seems to be no option to disable filtering altogether. In the GBI thread, I got the argument for nearest neighbour, but that isn't good for 240p. The horizontal scanlines are sharp and good, but there is vertical tearing while moving characters left or right, and some pixel lines are "doubled", like Mario's Super Mushroom will have an eye wider than the other. My TV is Brazilian, so I though setting the format to PAL-M would change something, but the format seems to not matter. All it was left was the "--offset" argument, but it would be a pain to set a value, test it, and if it's wrong, take the SD out and have to set it up all over on the PC. So, is there any way to set a "native" 240p resolution, without filters or scalers enabled? Make sure the screen mode is set to default and zoom is 2x. Don't use nearest neighbor. So I only add "--zoom=1.0" (I saw something about "zoom 2.375x = 1.1875" on the GBI thread, so I assumed 2x would be = 1.0, right?) to the meta.xml, and remove the "--scale" argument, since the default is still bilinear? Screen is set to default, but I still need "scan-mode=non-interlace" for 240p. I'm using component cables by the way, if that makes any difference. And also, are those the only borders (overlay) available? I wanted a black GBA type border, but I can't find the same format. The "point" borders don't seem to work for me. Another thing I found out is that the input lag is lower with "--poll=0", why the default is 1? But anyways, thank you for the quick reply"
EDIT: Never mind, it's "--zoom=2.0", but still, I think there should be an option to disable bilinear. The pixels are correct, but it's possible to see a thin, half a pixel line over and below bright text (like the "Licenced by Nintendo" text on the Castlevania games), like a bloom effect. This still makes the image slightly blurry compared to the official, or VBAGX, but enhanced mGBA still emulates games better (to my view), and uses the trigger function for quick action, instead of full digital press for L and R on the GC controller, which I much prefer. Nearest neighbour has been the only option to really sharpen the image, but the tearing is a bigger problem. TheDimensioner wrote: And also, are those the only borders (overlay) available? I wanted a black GBA type border, but I can't find the same format. TheDimensioner wrote: The "point" borders don't seem to work for me. TheDimensioner wrote: Another thing I found out is that the input lag is lower with "--poll=0", why the default is 1? 0 is 120 Hz, 1 is 1000 Hz. Are you using a third-party controller? TheDimensioner wrote: I think there should be an option to disable bilinear. You can use nearest neighbor with square pixels (--aspect=3:2 for 60 Hz or 5:4 for 50 Hz), if you must. Extrems wrote: 0 is 120 Hz, 1 is 1000 Hz. Are you using a third-party controller? Well, I am using a chinese knockoff GC controller, but it's just the feeling, I guess XD. Extrems wrote: You can use nearest neighbor with square pixels (--aspect=3:2 for 60 Hz or 5:4 for 50 Hz), if you must. I know the method for displaying pixels in PC CRT monitors is different from most consumer CRT TVs (and mine is one of the most), but it is better to take pictures from the clear image of a monitor than a TV with not so strong image XD. And that is a similar issue that I have with Enhanced mGBA, so the pics count. But if it's not possible to disable scaling yet, I hope there will be an option in the future. Thank you again for the response! If that's what you see, then the zoom is set wrong. Well, the Jnes issue is a "stronger" case of the Enhanced mGBA issue. See the lines above the zeroes on the Mario score; those thin gray lines is what's present over bright pixels on EmGBA, but much thinner, which over the whole image does make it a bit blurrier. I've tried the square pixels with nearest, and the tearing does not happen, with a sharper image (without thin lines), but the image is squished compared to what I got used to. I'll try setting --zoom=1.9, since the lines are so thin, but if it's still there, I'll let the default, since it isn't that bottersome. Also, thank you for the color pallet change, I liked the gray border. It's possible you're seeing rounding errors exaggerated by 8-bit linear RGB. Extrems wrote: It's possible you're seeing rounding errors exaggerated by 8-bit linear RGB. That does fix the issue! But now the border overlay is too dark, and the overall menu is darker as well XD. I was already using "--matrix=identity", since I prefer the stronger colors, instead of the GBA default, but the gamma options made the thin lines disappear. Maybe it is the border that caused it, I haven't tried without it yet, but since I like it so much, I wouldn't want to play with a small rectangle on the middle of the screen, and it's really not good to play old 2D games at 480i, upscaled and filtered (I'm ok with 480p upscaling, but my CRT doesn't support it). One last request, but I wouldn't think it's up to you, since you were responsible for this enhanced version and not the main branch (I don't actually know XD), but Sword of Mana is bugged on both VBAGX and mGBA, where when you get to the first town, NPC sprites start shaking when the character moves. Only the PC ports have emulated this game correctly so far, but is it possible to expect further accuracy on the Wii ports? It would be great! Thank you very much for your help, and I hope for future enhancements! Wow, now it's absolutely perfect! 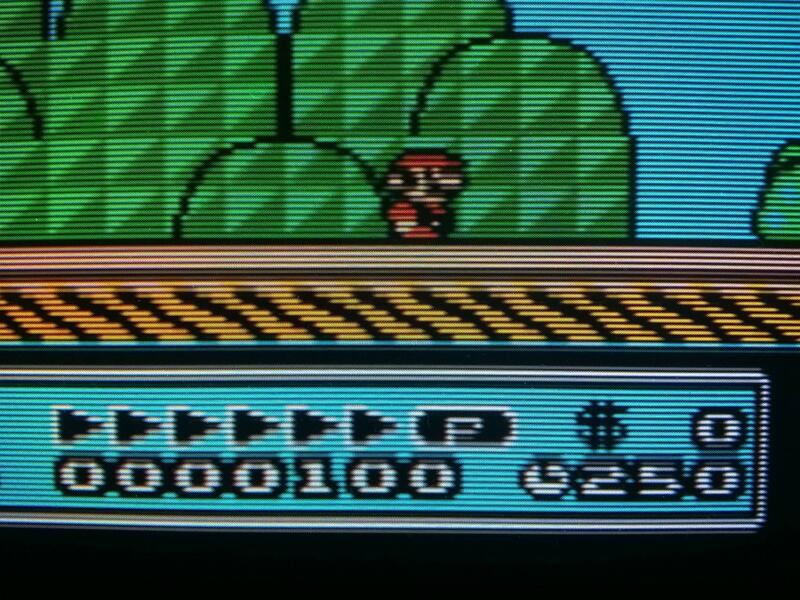 Sharp 240p image with native scanlines, no thin lines over bright pixels, custom border, and even Wiimote IR cursor XD! Now this is definitely the best GBA emulator for the Wii, and probably Wii U and GameCube. I hope the mGBA team fixes some of the issues regarding emulation (like GB save states, Sword of Mana issue), and I hope you add this enhancement to it in the future! Once more, thank you! TheDimensioner wrote: Wow, now it's absolutely perfect! 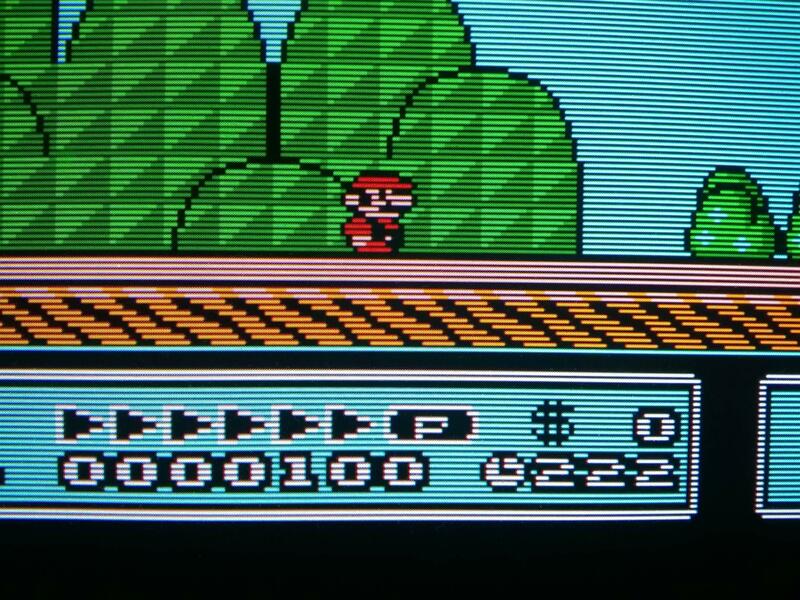 Sharp 240p image with native scanlines, no thin lines over bright pixels, custom border, and even Wiimote IR cursor XD! Now this is definitely the best GBA emulator for the Wii, and probably Wii U and GameCube. Could you share your argument? niuus wrote: Could you share your argument? I only forgot to add " < ahb_access/ > " to it, and it's supposed to be there by default, but I had beaten Castlevania: Harmony of Dissonance with Enhanced mGBA, and I had no major issues; it hanged once after saving in-game, though. The ahb_access thing seems to be in every Wii emulator, but I don't know what it does. The --poll=0 doesn't seem to be necessary as well, as pointed by Extrems, but like I said, it does lessen input lag for me. I've discovered that different overlay id's actually change the borders with different frame textures, but I don't know how many there are... Extrems, is there a list somewhere with how many borders are included in that frame.tpl.gz(/srgb...)? I've gone up to 14, but it's a boring process of removing the SD card, putting it on my phone, hook it up to my PC, edit the meta.xml (since it can't be edited through the phone itself, because it's old), and go all backwards to the Wii XD. But from what I remember until then, it's like this: no overlay id is default purple, 1 = dark gold, 2 = dark silver, 3 = light gold, 4 = light silver, and well, from there it seems to be different custom textures, that have to be looked at and not really described with words XD. They're the same from the Game Boy Player Start-up Disc, which had 20.